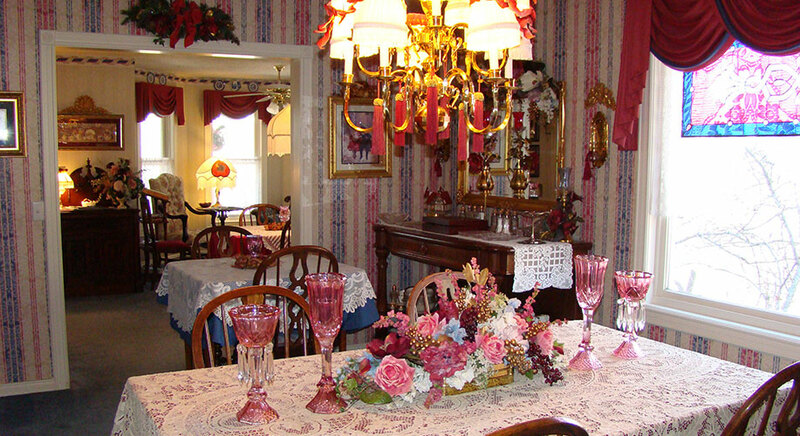 Beverly Gray and Sammy Pagan, innkeepers at Emory Creek Bed & Breakfast, Branson, Missouri, have hosted many reunions. One reunion in 1999 was of thirteen ladies who graduated together from Waukegan (IL) Township High School after being friends since elementary school. They celebrated their 60th birthdays together. 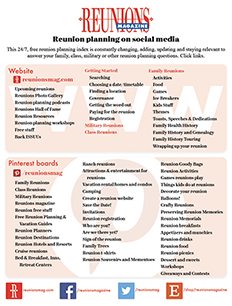 Beverly says, “I love doing reunions. 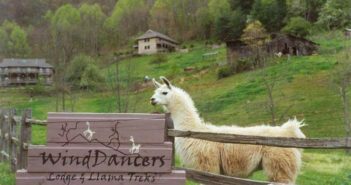 By the time they leave we feel a part of their family.” Some reunions take over the facility and are treated like they own the home with innkeepers in charge. The JARV Family Reunion filled the house with music and used the Victorian parlor for a worship service led by member Pastor Rick Vogeley. The Royal Reunion was to celebrate the 80th birthday of Dr. Arnold Royal. The Reeves Family Reunion who included the luck of several lootery winners found Emory Creek a good choice to travel to from their homes in Louisiana and Mississippi. Contact 143 Arizona Dr, Branson MO 65616; 800-362-7404; emorycreekbnb@pcis.net; www.emorycreekbnb.com.